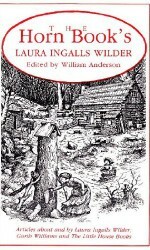 Laura Ingalls Wilder’s classic Little House books tell the story of one pioneer girl’s experience growing up on the American prairie. 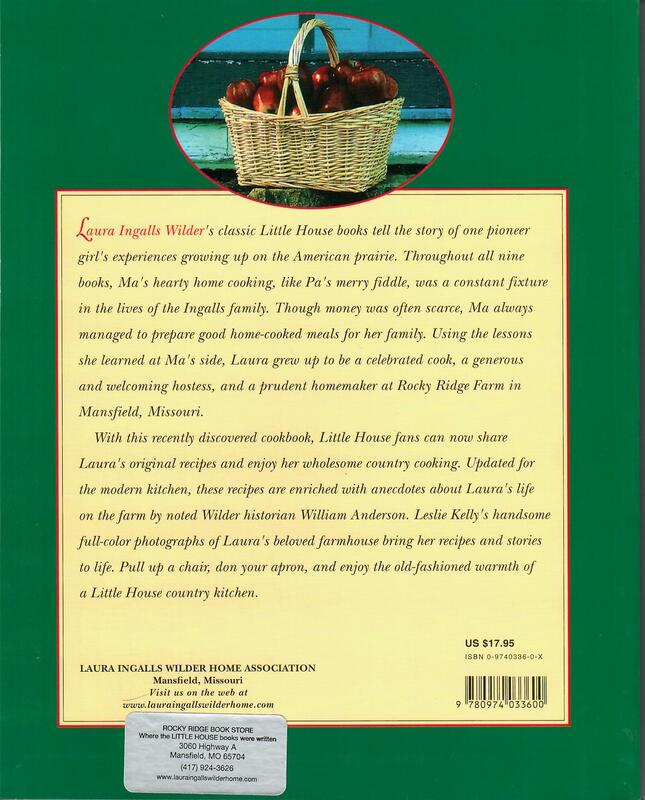 Throughout all nine books, Ma’s hearty home cooking, like Pa’s merry fiddle, was a constant fixture in the lives of the Ingalls family. Though money was often scarce, Ma always managed to prepare good home-cooked meals for her family. Using the lessons she learned at Ma’s side, Laura grew up to be a celebrated cook, a generous and welcoming hostess, and a prudent homemaker at Rocky Ridge Farm in Mansfield, Missouri. 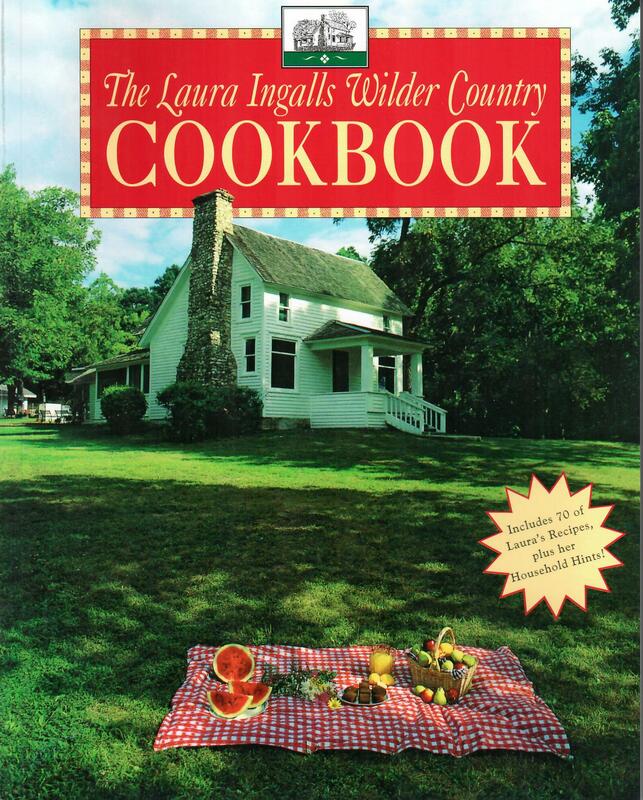 With this recently discovered cookbook, Little House fans can now share Laura’s original recipes and enjoy her wholesome country cooking. 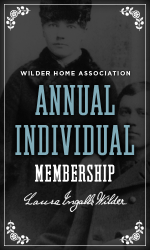 Updated for the modern kitchen, these recipes are enriched with anecdotes about Laura’s life on the farm by noted Wilder historian William Anderson. 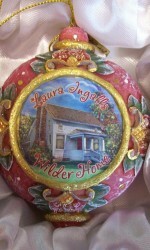 Leslie Kelly’s handsome full-color photographs of Laura’s beloved farmhouse bring her recipes and stories to life. Pull up a chair, don your apron, and enjoy the old-fashioned warmth of a Little House country kitchen. 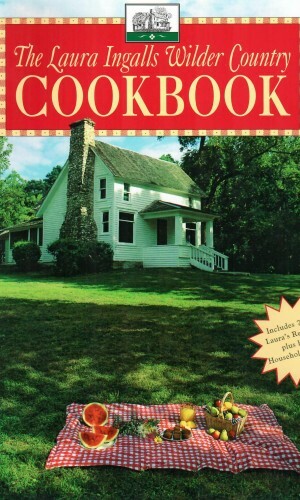 The cookbook contains 147 pages of photographs and recipes and 4 pages of Laura’s household hints. 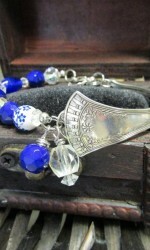 It contains both vintage and contemporary photographs. SKU: 0002. 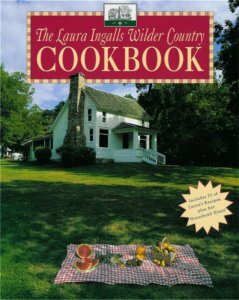 Category: All Products, Books-Written About Laura, Other Books on Little House.